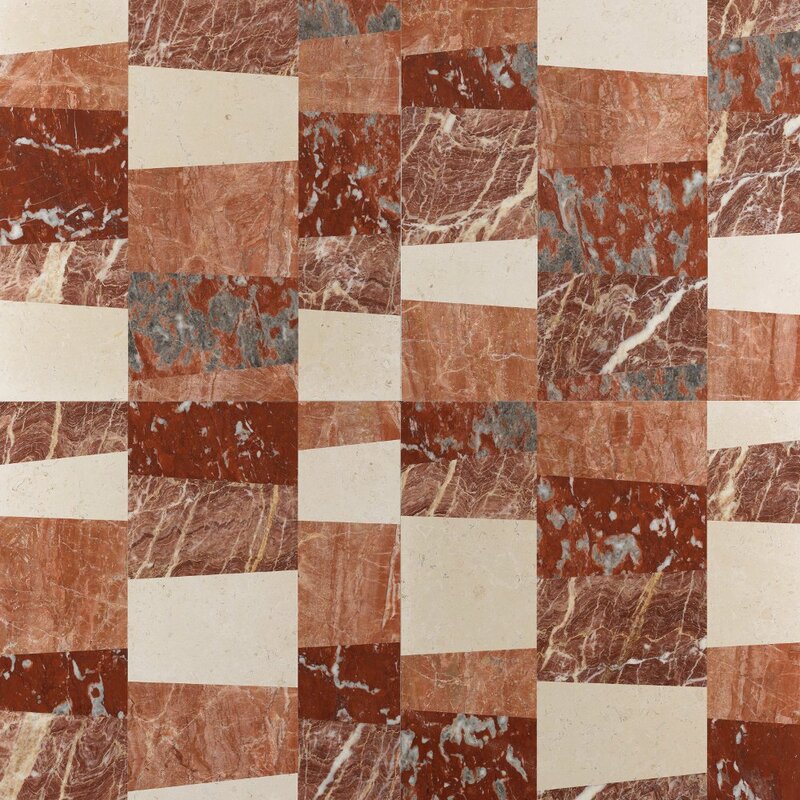 The natural, ever-surprising colors of marble have never been that easy to use and melt into interior projects. 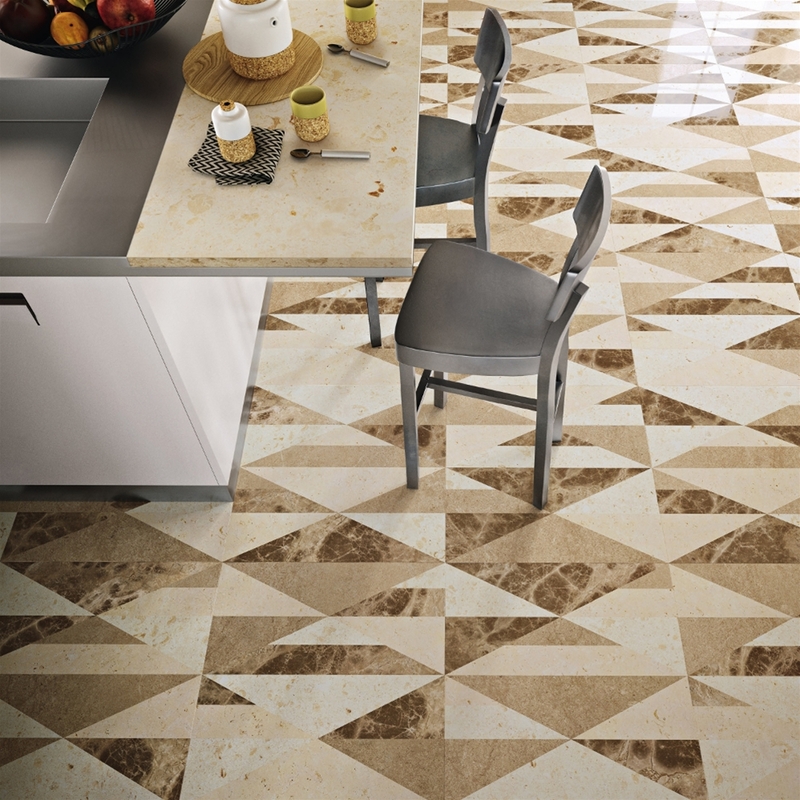 The collection of design inlay works called Lithos Opus, which already constituted a revolution in the field for its processing method, graphic mood and easy-to-lay products, takes even one step further down the path of technological innovation with the revision of the existing model Tangram and the creation of a new one named Piano. These two textures allow for a new and even more advanced production process characterized by high automation, an unprecedented application of CNC technologies that, with the essential supervision of the skilled artisan, make it possible to produce quickly big quantities of ready-to-use modules composed of different inlaid marbles, with top precision and an unvaried high quality standard, as easy to lay as any tile, with near-zero material waste. Thanks to this revolutionary method, the trendy geometrical designs of Tangram and Piano can be proposed in as many as 16 different color palettes, from the boldest to the most neutral ones, and in different finishes with the ability to enhance with a surprisingly different effect the colors of the 44 marbles selected for this line, further increasing the choice range for interior architects and designers. This variety, together with the diverse prices depending on quantities and on the marbles composing the palette, will grant designers to find just the right solution for any concept, to give a graphic and colorful, naturally sophisticated and elegant touch to any room, fit to melt harmonically into any style. Tangram and Piano will be exposed at the International Bathroom Exhibition in Milan, 12-17 April 2016, hall 22 booth F26.